Viomi presents the Internet Wash Machine, a washing machine too smart !!! Home » News » Viomi presents the Internet Wash Machine, a washing machine too smart !!! The washing machine is an essential appliance in everyday life, as it allows us to save a lot of time compared to the past. The technology for domestic use is progressing more and more, so even a simple electrodetric is no longer limited to a single cleaning function. 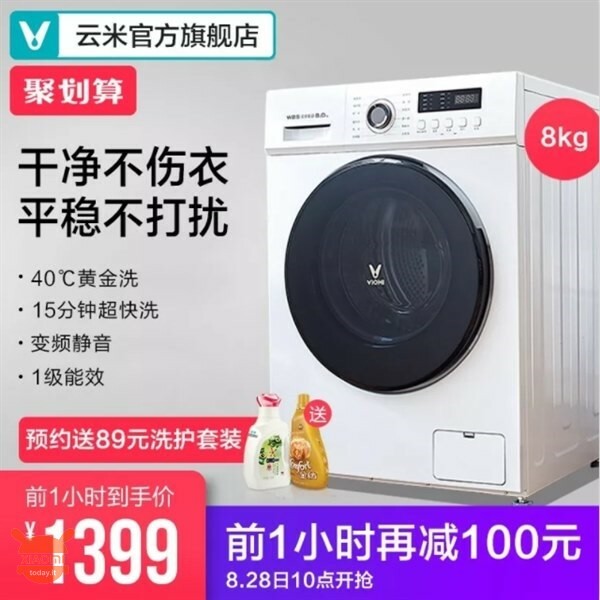 And he knows it well Viomi, the sub brand name Xiaomi that specializes in the creation of smart appliances and that own in these days we propose the Internet Wash Machine that will officially debut the 28 August pre 10: 00 (local time in China) with a price of 1499 yuan (about 188 euro) but whoever manages to preorder it one hour before the official start will have an additional discount of 100 yuan. The Viomi Internet Wash Machine proposes itself with the classic design of traditional washing machines with basket although both the company has paid particular attention to the materials used in the construction of the same, ensuring the maintenance of clothing that generally deteriorated over time due to the clothing fibers embedded in the basket. We have one load capacity up to 8 Kg, guaranteeing the laundry for the whole family while the centrifugal power is 1200 rpm (rounds per minute), a fundamental help for housewives who must then lay out the laundry. In general, laundry detergents on the market contain active molecules that exert maximum detergency at a certain temperature, usually set at 40 ° C and so the Viomi washing machine incorporates a specific washing program that keeps the water temperature at 40 ° C stable. 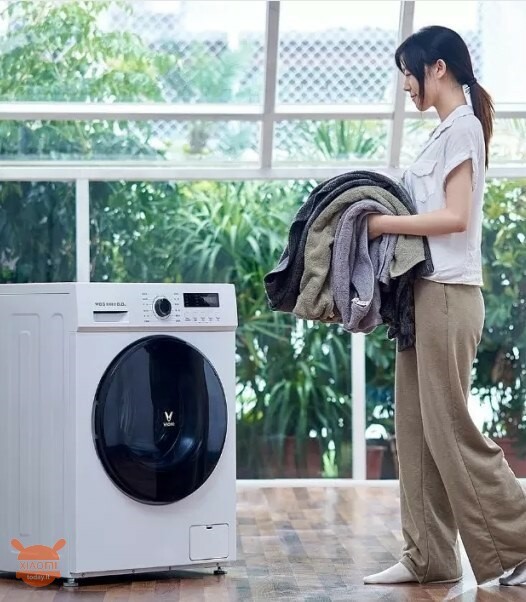 Furthermore, more washing methods are provided: that ultra fast from 15 minutes and the quick one from 32 minutes, ideal for laundry up to 3 Kg, thus saving water and electricity without having to give up wearing your favorite blouse. Unfortunately it is not clear the actual energy consumption, but the company specifies that the same is highly efficient in terms of savings like the powerful centrifuge at 1200 rpm, brings in dowl functionality like the anti-shake and the mute, ie a reduced noise. And finally, as the name suggests, the Viomi Internet Wash Machine will allow be remotely controlled via smartphone application, being able to set the washing program as well as the immediate activation of the laundry or the reservation for a specific time. Finally, once the washing has finished, the application it will also remind us to hang out the laundry. But is it known when products such as washing machines and TV Xiaomi arrive in Italy through official channels? Unfortunately not. For these products, certifications and patents are a very complicated matter and hail the importation. Obviously nothing is excluded. POCOPHONE F1 soon in Italy? Enter the smart homes "Yunmi", the kitchen machine!